Maud van Bourboom Jeugdkampioen Centrale Keuring 2014 eigenaar S. Frenken te Aalten. Annichje fan Bokkum Algemeen Kampioen Centrale Keuring 2011 eigenaar Familie De Boer uit Nes en Rixt fan Fjildsicht Algemeen Reserve Kampioen eigenaar Familie De Vries te Skettens.  Namke van de Troostwijk (v. Tsjalle) – Jeugdkampioen fokdag Assen / Reserve Kampioen twenters op de Centrale Keuring 2014 eigenaar mevr. A.M. Michel – Jansen te Kerkenveld. On the supreme moment, the horses need to be presented to the jury in perfect condition and in high spirits. On average, a preparation period of four to five weeks is needed, dependent on your horse’s condition. We offer a very varied training. This way, the exertion does not get tedious. We also take care of the shoeing of your horse, the grooming and washing, and transportation to the inspection. See Inspection regulations for further information, on page 7 and 8 you will find the inspection step-by-step plan. At the end of November, the first viewing of stallions in Ermelo begins. Stallions that are to become three years old the next year, or older ones can be presented here. First, the stallions are introduced on the ‘lane’. If the jury judges positively, the stallions may perform again in the ‘cage.’ Stallions upwards of five may be asked to perform under the saddle or for the cart. After this, the jury decides whether the stallions may proceed to the second viewing in Leeuwarden. The Friesian Horses Studbook must also have tested the stallions positively on sperm and X-rays. In Leeuwarden, the second viewing also begins with the stallions’ introduction in the ‘cage.’ The jury determines whether they want to review the stallion the next day (third viewing.) On the third viewing, the stallions are introduced through leading them by hand. Next, the jury declares which stallions may proceed to the Central Inspection. This stallion was judged positively and may prove his worth in the Central Inspection. Should your stallion not have been chosen for the Central Inspection, it can be presented under the saddle or for the cart again later in the year. Then, it possibly still can score a positive result.